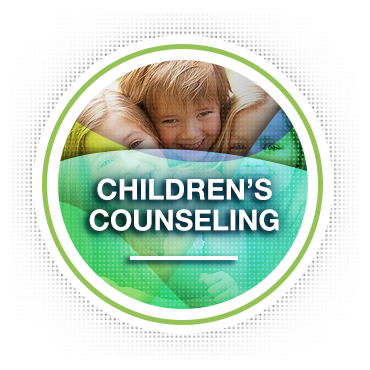 Family Solutions Counseling Center offers unique clinical services to young children ages 5-10. FSCC’s Creative Children’s Therapy is a form of expressive therapy designed to help a therapist gain insight into a child’s thoughts and feelings through the child’s primary means of communication, which is play and creativity. Children often struggle to express their feelings and emotions verbally. Therapy with children, unlike conventional talk-therapies, uses playful, creative activities as the primary medium for communicating. Utilizing this approach with children helps facilitate social, emotional, and behavioral growth and change in children with a wide range of emotional or developmental challenges, and the therapeutic change occurs in a safe and trusting environment. How are parents included in therapy? Parental involvement in the child’s therapy process varies, depending on the child and the family’s needs. Parents can spend part of the session with their child and therapist, and then the therapist spends the remainder of the session with the child. Your child’s therapist will discuss therapeutic goals and progress in treatment with you regularly. Parents are also involved with treatment by providing input to the therapist as to how the child is doing at home, at school, and in social situations. Typically, parents will meet alone with the therapist from time to time to discuss ways to support your child’s therapy at home. The great underlying value in helping your child through therapy is that it gives your child a voice and provides an opportunity for them to tell their ‘story’ in a way that makes sense to them… at their own pace… in a safe and healing space. At FSCC, Whitney Walker Foster, L.P.C., Nikki Bolton, L.M.F.T., L.P.C., Shawn Downhour, L.M.F.T, L.P.C., and William Riddle, L.P.C, are our licensed therapists who specialize in work with young children in counseling. Call or email FSCC for more information.